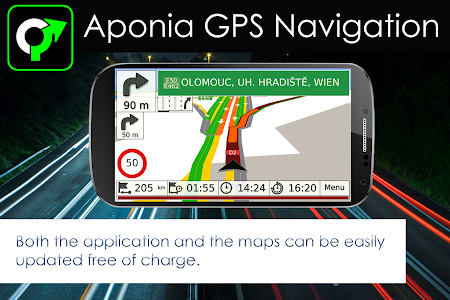 The world's most versatile and user-friendly GPS navigation with offline maps. 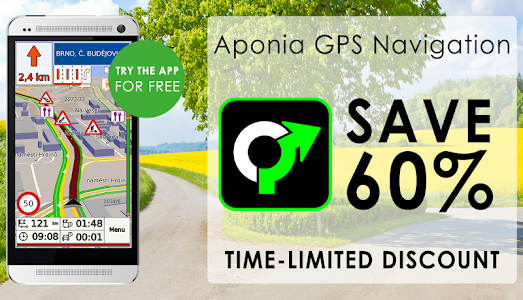 Aponia GPS Navigation converts your Android smartphone or tablet into a fully functional mobile navigation system with on-board maps, thus avoiding data transfer for map display, route calculation etc. 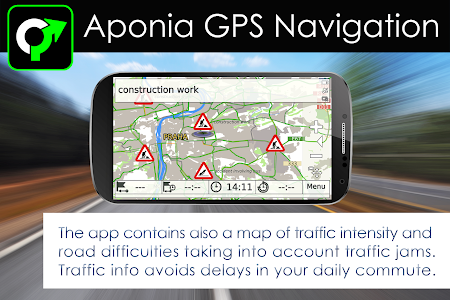 The most complex and user-friendly GPS navigation app in the world with Intel x86 support also. Maps are stored on the device for offline use. Both app and maps are updated for free. 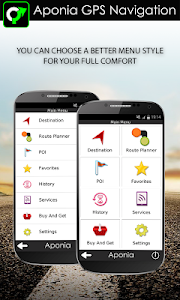 The application is compatible with over 300 Android smartphones and tablets. ▪ No. 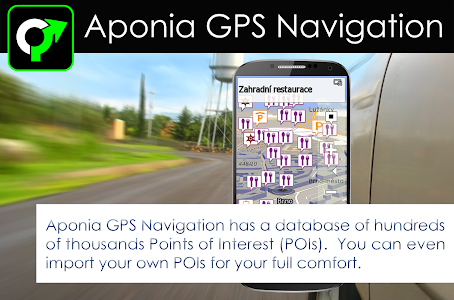 1 paid GPS navigation with a growing number of satisfied users. ▪ The application is capable of navigating to a zip code, house number or an address book contact. ▪ Extensive map database with high quality maps. ▪ Turn-by-turn voice guidance with a large register of languages. 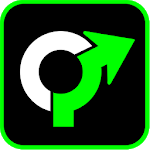 ▪ Complex junctions simplified by lane arrows and direction signs. 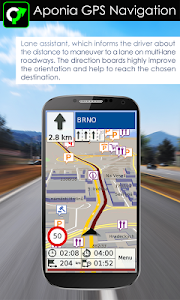 ▪ Powerful multi-stop trip planning and optimization. ▪ Favorites – easy access to home, work and favorite places. 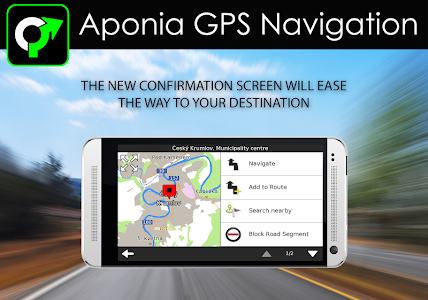 ▪ Navigation activation via a tap on the map. 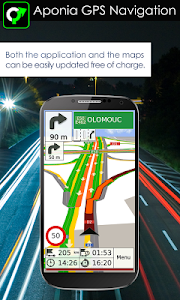 ▪ Speed camera alerts with FREE updates. ▪ Speed limit indicator and warnings. 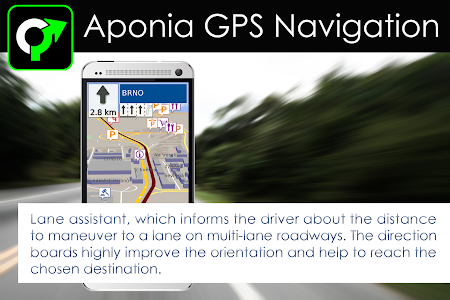 ▪ The navigation finds the fastest route based on live traffic flow. 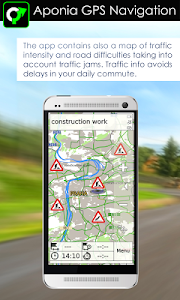 ▪ If there’s a delay based on the traffic flow, the app automatically finds a new route. ▪ Color-coded live traffic map and status bar. PLUS ALL THE FEATURES YOU'D EXPECT FROM A NAVIGATION. New: Provide us with maps feedback by taking a photo of real situation on the road via Menu/Settings/About/Map Feedback (this is why app asks for CAMERA permission). 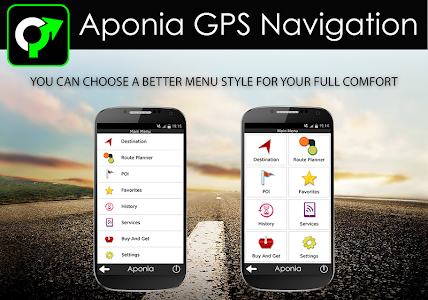 Similar to "GPS Navigation & Map by Aponia"